Vision6 is a provider of email and SMS marketing software designed for marketers and agency professionals. Vision6 allows you to send beautiful emails, reach customers immediately with SMS, grow your subscriber base and make life a little bit easier with automation. They also contribute to the email marketing community by providing free webinars, training and resources plus we produce the Email Marketing Metrics Report. I've used V6 for about 7 years and have watched it evolve with new functionality and designs over the years. I love that it's easy to use, that the team is so dedicated to the product. I love all aspects of using V6! Honestly nothing. The team is phenomenal, always improving the product and responding to enquiries quickly and in a professional yet friendly way. Give it a try, the team is very dedicated to the product, with continual improvements on an already robust service. We use Vision6 for all of our e-marketing, including event registrations, monthly news, and ad-hoc emails. We also use it internally for messages from our executives. The benefits include a great reporting system, spam checker, mobile compatibility, and great control over the admin features - users can be added easily with any number of options activated. I really can't recommend Vision6 enough, it's a terrific service. The dashboard is the best part of the software, it's simple to navigate. The drag and drop feature is unreliable - it is unable to give you two columns of content side by side consistently. It has few templates - so when building your own layouts, you rely solely on the drag and drop feature. It is eratic and changes sizes rapidly and unintuitively when hovering over where you want to drop something. It causes the page to scroll away from where you want to drop the content. If you are fortunate enough to have your columns be the same width, you then need to ensure the bottoms align - which there is functionality to do (adjust to content or full size). However, this is unreliable and often doesn't work. Each time I want to send an email, I need to send between 10 and 20 test emails to myself trying out different combinations of settings to get the desired effect. That would be normal, however, often the combination that worked for the last email won't work for the current one. This chews a lot of time. To communicate with staff through regular internal newsletters. "Support from real people on a phone"
Slightly higher pricing, but when you compare the time save when you want to achieve something and get great support, when you need it, it is worth it. "Had a great experience using Vision6"
I like the drag and drop template editor. Was super easy to use and I ended up with a great looking email. Also liked that you can easily see if your email will be responsive on mobile devices and you can get comments from colleagues when you send a test email. The team in support are also really helpful if I had any questions. Didn't find anything of note that I dislikes but I do have one suggested upgrade - it would be great if the creator of the test email could get email notifications when a tester has posted a comment. Certainly worth a trial. I was very happy with the outcome and will continue using. Communicating cost effectively with our prospects and users. Vision6 has allowed use to keep our users up-to-date in an engaging, professional way. We used Vision 6 primarily for event management at lululemon for multiple events across Queensland. Through the use of registration forms we were consistently able to achieve higher numbers of attendees than through any other platform (newsletters, facebook and in-store). Our most successful event in Queensland was run through vision 6 with 300+ attendees. Automated communication made management a breeze and kept our attendees engaged over a month. Text messaging capabilities are also fantastic for communicating last minute changes and 'thank you's' that feel personal. 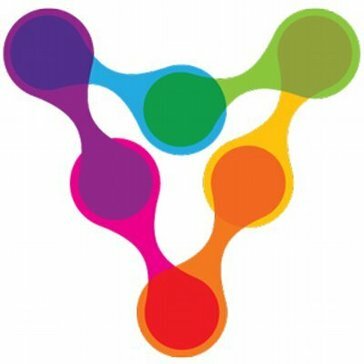 Lack of integration with Mind Body - we work with multiple studios and gyms in our community and having a direct connection with MB would change their world. 10/10 would recommend. Greater insight into delivery/open rates, customer behaviour and what works and what doesn't in your emails. Easy to integrate with Facebook for events. Amazing support available from Brisbane based team. At lululemon we had a track record of throwing great events with poor attendance, this was solved through the registration system available through Vision 6. Again being able to automate communication over a longer lead time is invaluable. I like that Vision6 is easy to use! Sure you need a little background knowledge if you wanna push it to the limits, however, building a world class EDM has never been easier! Hands down the best I've used so far! The live analytics are amazing too! Super addictive. at first I thought it looked a little dated. The new UI however is great! Some of the terminology was confusing too but thats because Im used to other brands. All things being equal, once a user embraces Vision6 they will never turn back. Its kinda like swapping mac from PC. Everything only get better and better. We're retaining customers like never before. The data base is growing and were kicking goals as a result. Truly a great software which I find myself telling people about al the time! "Great system, powerful, easy to use and integrates well with our other products"
Drag and drop editor enables our clients to easily edit and update email campaigns we design for them. This means less time spent on training and support. Also the email automation feature has helped us implement powerful email and SMS marketing campaigns for our clients. It would be great if there's a way to restrict certain databases from certain users. Currently you can either block/allow the entire 'Lists' tab from users. But some of the businesses we work with require different departments with in the business access to certain databases. Take the time to properly trial Vision6 and compare with other systems. There are a lot of features in Vision6 and can help you make your email/SMS marketing efforts better and easy. We work with businesses that require certain processes automated. Vision6's API and automation helps us integrate Vision6 with applications/websites we build and automate complex processes easily. "Great Service, Low Pricing, Email AND SMS All In One!" I've used EVERY email marketing service, from Silverpop, MailChimp int he last 15 years providing email marketing services and the one that consistently stands out as the best is Vision6. Simple to use, always updated with new features coming out every few weeks, no matter the size of the business we'd use them over anything else when its our choice. Their actually isn't anything I dislike, I had always wanted to use it from my phone, but thats coming out next week so no problem at all! Collecting data, nurturing customers and automation and their hot content swapping based on the clients information is literally priceless! I enjoy the dashboard which gives me good graphic intelligence on the status of my email sends. the program is solid, clearly developed professionally and quite capably. Might take a bit to figure out where they keep the features and functions you need, might even suspect that they don't have them until you talk to their great support team, then they show you where and you learn more about the underlying intelligence about how it is laid out. The support is fantastic, the staff has a productive hard working vibe to them. "Vision6 an all-round email marketing software all-star "
The system and the email designer in particular is extremely intuitive. Their automation system is also second to none and makes setting up automated and triggered emails a breeze. Also being an Australian based company their support and training options are fantastic. The system is pretty good all around. I've never had any difficulties using it. If you are an agency decide if you want to work from a corporate account and support your clients yourself on day one. Don't change your mind a few months in. Using email marketing to engage with customers is an effective and efficient method of communications. "Great platform for agency management of clients' email systems"
The ability to have all clients under one account. Great reporting that can be sent directly to the client. Reports show for test emails. This can get confusing - it would be good just to have reports for email send outs to proper contact list. Get someone to build templates - from there it is easy to add and edit information. 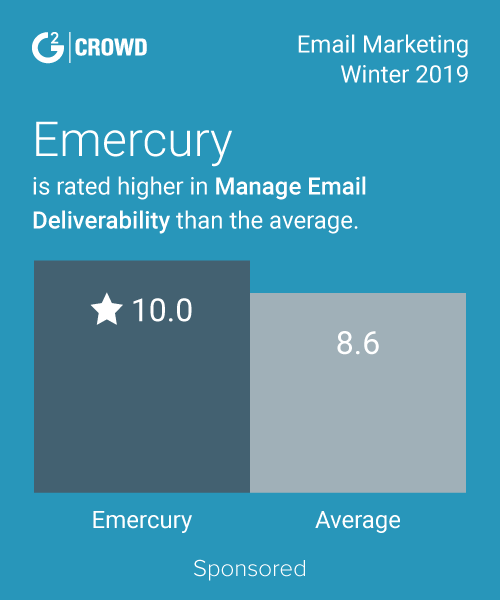 Less bounced emails, better open rates. We were transitioning away from Mailchimp to Vision6 as an agency and Vision6 provides greater flexibility / support / ease of use. The ease of use of the program, the ability to easily setup a campaign and send. There are some restrictions with templating like any bulk email program but there is always a workaround. Vision 6 has fantastic automation, this allows us to create great customer journies for our clients. * We monitor all Vision6 reviews to prevent fraudulent reviews and keep review quality high. We do not post reviews by company employees or direct competitors. Validated reviews require the user to submit a screenshot of the product containing their user ID, in order to verify a user is an actual user of the product. Hi there! Are you looking to implement a solution like Vision6?